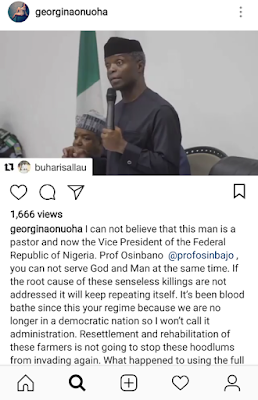 U.S Based Nigerian actress, Georgina Onuoha has slammed Vice President Yemi Osinbajo, for saying there will be resettlement and rehabilitation for farmers to go back to their farmlands in Plateau during his visit to the embattled state on Monday following attacks that left scores of people dead. 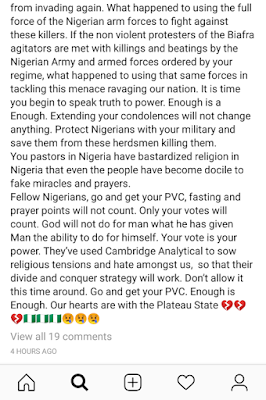 According to her, "If the root cause of these senseless killings are not addressed it will keep repeating itself. 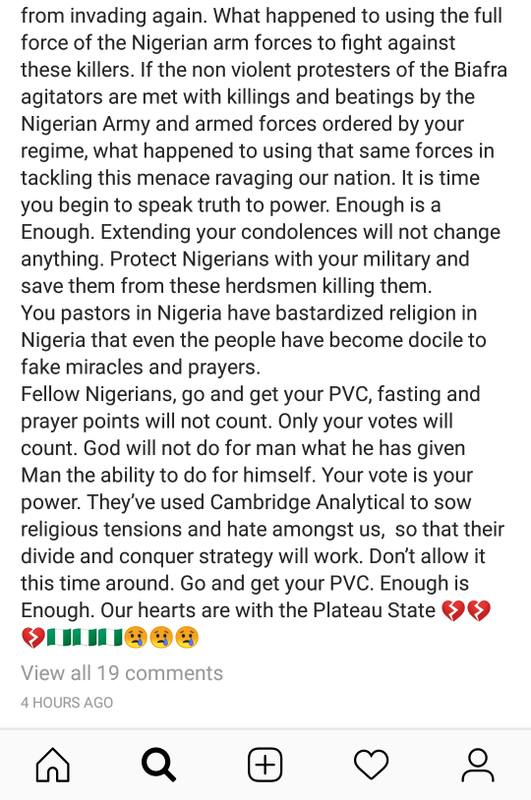 It’s been blood bathe since this your regime because we are no longer in a democratic nation so I won’t call it administration. Resettlement and rehabilitation of these farmers is not going to stop these hoodlums from invading again."